William Barton's mother is opera singer Delmae Barton, a member of the Stolen Generations. 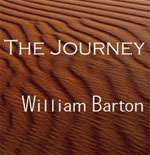 The documentary Kalkadoon Man is a movie about William Barton's musical work. William Barton composed and performed Songs of Mother Country as a major commission for the Queensland Biennial Festival of Music. 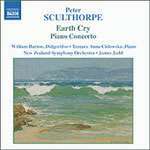 The double CD Requiem is a major work for orchestra, chorus and didgeridoo by Peter Sculthorp. Songs of Sky and Sea features works by Peter Sculthorpe revised for didgeridoo and orchestra, performed by William Barton and the Queensland Orchestra. 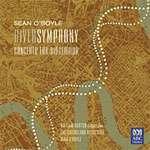 The album was nominated for 'Best Classical Album' in the 2004 Australian Recording Industry Association (ARIA) Awards. 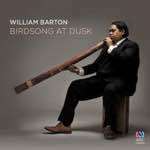 The Concerto for Didgeridoo was inspired by didgeridoo player William Barton, the soloist in this recording, who provided Sean O'Boyle with the rhythms on which the piece is based. 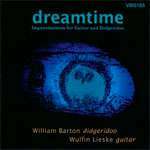 This is William Barton's first self-released album. 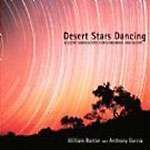 William Barton plays with music by Tasmanian-born Peter Sculthorpe who has re-written some of his key works to include parts for the didgeridoo.